Body, Mind, and Spirit: 39 Men Lost an Amazing 337 lbs in Just 12 Months, and You Can Too! 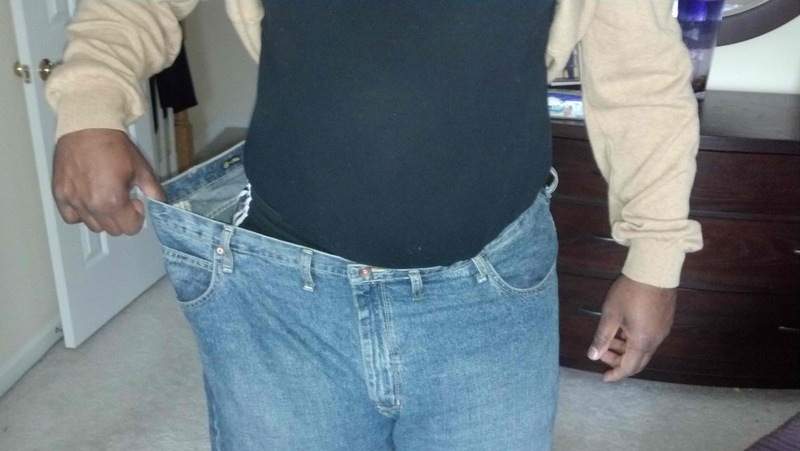 39 Men Lost an Amazing 337 lbs in Just 12 Months, and You Can Too! Back in January 2012, when many around the Nation were just beginning to make good on their New Year’s weight loss resolutions, 40+ members of the Sigma Mu Mu chapter of Omega Psi Phi Fraternity, Inc. decided to begin “Operation Fighting Trim.” These men range in ages from 25 to 65-yrs-old, and all have one thing in common other than the fraternal bond – wellness. 27 lost weight of whom, one Brother dropped an AMAZING 80 lbs!!! It has been agreed that Operation Fighting Trim will continue during 2013, because the brothers of the Sigma Mu Mu chapter of Omega Psi Phi have stumbled upon a life-changing initiative that is beginning to spread throughout the entire Fraternity. Many have improved their risks of: high blood pressure, high cholesterol, diabetes, and heart disease. To find out more about Operation Fighting Trim and how your organization can get into “fighting trim,” please contact Bro. James Hackley who is the author of the bestselling “Negativity Loss” book titled, Body, Mind & Spirit: The Awakening. Bro. James Hackley just may be the most blessed individual you’ll ever meet. Despite a highly successful sales & marketing career that has spanned the last two decades, his true “calling” is touching the lives of others and inspiring them to want to change for the better. As a result of a major epiphany, James was able to lose an amazing 50 lbs of fat in just 4 months and has sculpted his 46-yr-old body into the best shape ever. He has learned to significantly reduce stress, quiet the mind and get in touch with his spirit like never before. As a result, he’s been able to free himself from a lifetime sentence of high blood pressure and high cholesterol prescription medications. More importantly, he’s been able to inspire those around him to do the same. In his latest release, Body, Mind & Spirit: The Awakening, James explores the root causes of why we overeat, refuse to exercise, live chaotic lives and fail to accomplish the goals that God has intended for our life since the dawn of time. This is not just another diet or “weight loss” (loss of fat and muscle) book. Diets simply don’t work, and James emphasizes how we need to be more concerned about “fat loss.” In fact, this guaranteed bestseller would be better categorized as a “Negativity Loss” guide: loss of negative fat, negative habits, negative foods, negative people, negative thoughts and negative actions. This guide arms you with knowledge and encouragement to put a plan into action to finally master the things that have long mastered you. Bro. Hackley received a Bachelor of Science degree in Physics from Longwood College, a Master of Science degree in Civil Engineering from the University of Virginia. He’s chaplain and chairman of the Health Initiatives Committee of a local chapter of Omega Psi Phi Fraternity and an active member of Holy & Whole Life Changing Ministries International in Loudoun County, Virginia. He is the proud founder and CEO of Omega Consulting Enterprises, LLC and currently lives in Sterling, Va. with his beautiful wife Angela and their daughter Landon. He enjoys exercising, running, meditation, reading and simply being used by God.